The government has taken major steps to fight corruption in the country yet there are people who are still involved in various acts of corruption and should stop it now. The Prime Minister, Dr Motsoahae Thomas Thabane said this in his remarks at the event organised to mark the International Anti-Corruption Day in Maseru on Friday. Dr Thabane said the government is concerned with public servants who arrive late at work, let public stand in long queues before they could render services to them while others do their private businesses during working hours. He said such are acts of corruption and warned all to stop and serve the nation with respect and honesty for the development of the country. 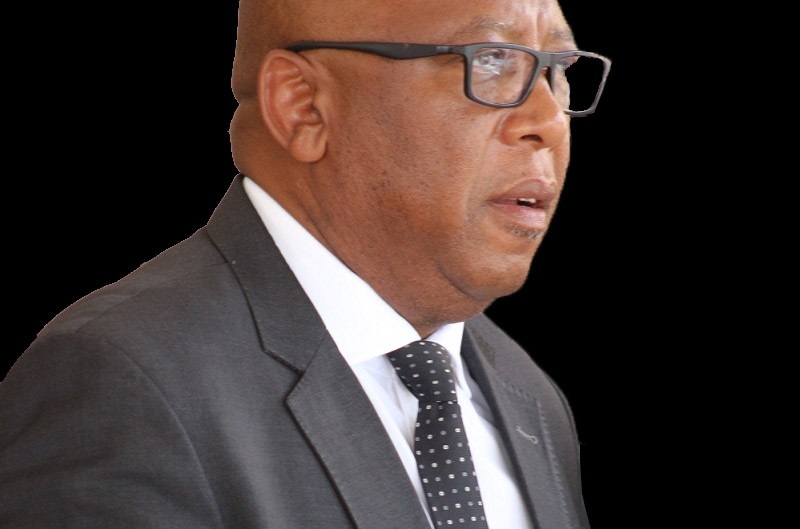 He added that Lesotho remains a committed state to fight against corruption by ensuring that the Directorate on Corruption and Economic Offences (DCEO) is empowered with human resource and other needed equipment that will enable it to execute its duties effectively. The Prime Minister noted that though the government is facing a shortage of funds, it will do all its power to empower DCEO, warning that those involved in the corrupt acts will be dealt with accordingly regardless of their status. He pointed out that the Parliament is in the process of reviewing the act administering the DCEO to ensure that it operates in line with the international standards, saying now that the country is in the process of reforming various sectors, corruption must be part of the reforms agenda for development. 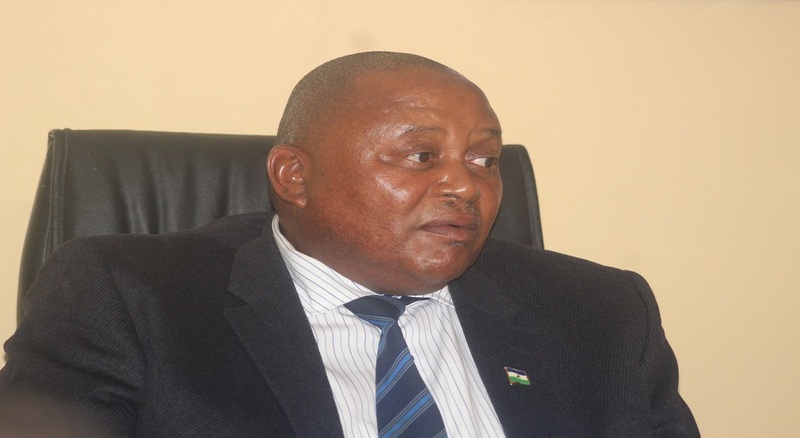 He applauded the organisers of the event and the support extended by the United Nations Development Programme, African Development Bank and American Embassy in Maseru. 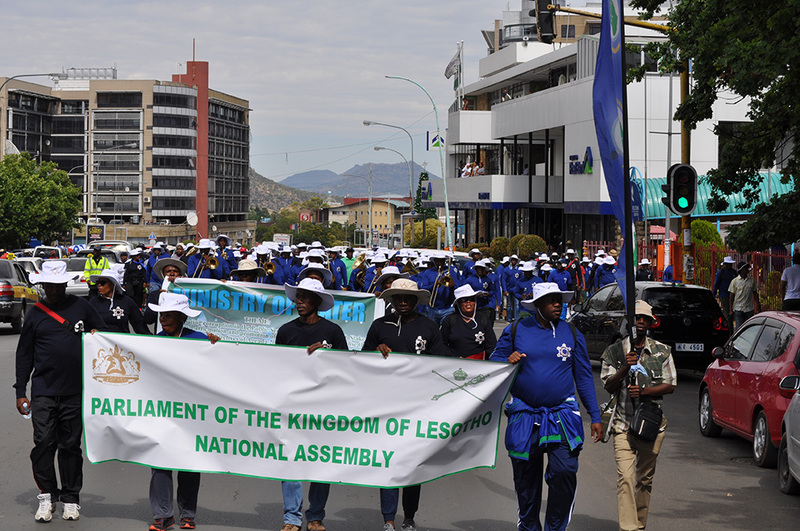 The DCEO, Lesotho Mounted Police Service (LMPS) and Lesotho Revenue Authority (LRA) organised the event to further sensitise the communities about the impacts of corruption over society. Speaking at the same event, the DCEO Director General, Adv. 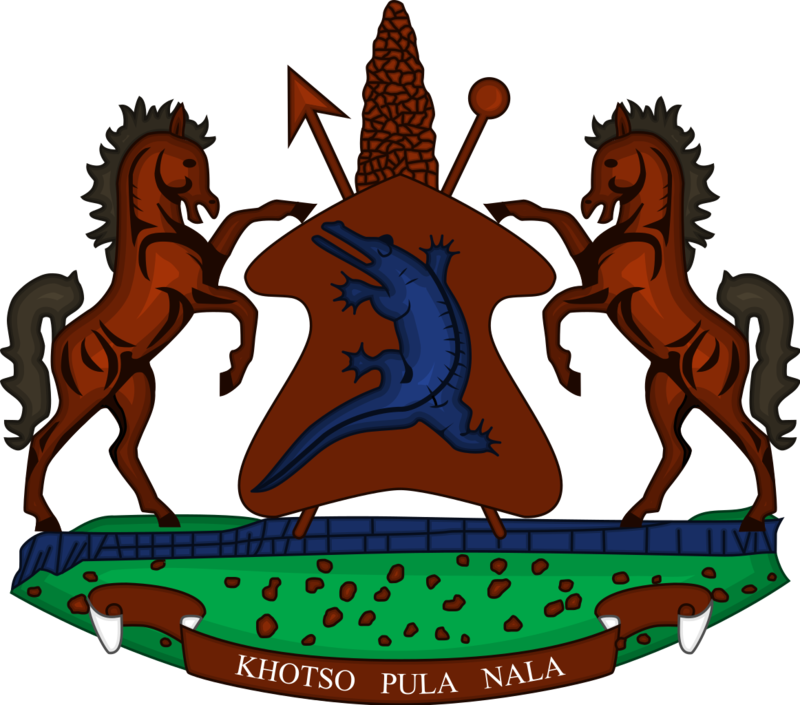 Borotho Matsoso remarked that those mandated to look after corruption are faced with the kind of resistance when they see signs of corruption. He, however, said they will press on to fight corruption in all its forms for the promotion of good governance and rule of law. Adv. Matsoso said corruption in public institutions particularly in procurement is a serious problem and called all to stop corruption for socio-economic development. Also speaking was the LRA Commissioner-General, Mr. Thabo Khasipe who stressed the need for behavioural change to avoid corruption in the families, churches and society at large. He called on all to change behaviour and join the war against corruption particularly on tax evasion for the economic development of the country. Mr. Khasipe commended the government for demonstrating a political will in the fight against corruption and said that cannot be underestimated. Meanwhile, at the same event, the United Nations (UN) Resident Representative to Lesotho, Mr. Salvator Niyonzima said It is imperative for governments, civil society and the private sector nationally, regionally, continentally as well as globally to join hands to fight corruption described as a serious scourge which knows no boundaries. Mr. Niyonzima said the scourge undermines development and threatens the peace and security of nations hence the need for everybody to stand firm in the fight against it. He said the UN theme for this year, ‘United against corruption for development, peace and security’, is mirrored by the African Union’s theme which says ‘Winning the fight against corruption: The Sustainable Path to Africa’s Transformation’. 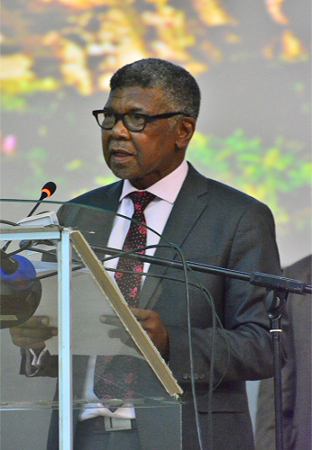 He added that Lesotho subscribes to this continental theme and is one of the initial 38 countries to ratify the African Union’s Convention on Preventing and Combating Corruption. ‘The world, continent, region and individual countries will neither realise meaningful development nor live in peace and secure environment for as long as corruption exists. Out own mother Africa will only dream of transformation for all,’ he stated. The UN Resident Representative further said since corruption is a serious crime that can undermine social and economic development in all societies, this year, the UN Office on Drugs and Crime and the United Nations Development Programme (UNDP) developed a joint global campaign focusing on the impact of corruption on education, health, justice, democracy, prosperity and development. He concluded by making a connection between the event and the national reforms and highlighted that strengthening anti-corruption mechanisms that will guard and enhance the transparent utilisation and equitable distribution of the national resources is another way to support the reforms. On the other hand United States Ambassador to Lesotho, Ms. Rebecca Gonzales said Lesotho is to be commended for the advances it has made over the years to make government more responsive to the needs of its people. “Hopefully, gone for good are the bad old days of traumatic instability and all of its associated ills,” she said. She said the United States has recognised Lesotho’s progress by continuing its engagement in the form of AGOA, and renewed engagement by Millennium Challenge Corporation (MCC). ”It is well known that we have been a steadfast, committed partner to Lesotho’s success for more than half a century as demonstrated by the ongoing work of the United States President’s Emergency Plan for AIDS Relief (PEPFAR) Peace Corps, USAID and numerous other agencies. Mrs. Gonzales said with the prospect of a second MCC Compact based on a demonstrable commitment to good governance and the reforms process, all must ask themselves, what is at the foundation of good governance? There is no simple answer to this complicated question, but one principle that she urged all to consider is that of a government’s accountability to its people, from all political parties, from all levels of society. She recalled that the Prime Minister, on September 14, 2018, at the public gathering in Mafeteng, rightfully declared a state of emergency on corruption and criminality. ”Your promise to increase resources to fight corruption and criminality is a commitment welcomed by the people of Lesotho and your international partners,” she said. The Deputy Commissioner of Police, Mr. Keketso Monaheng said the police will do all in its power to fight corruption in the country for promotion of rule of law and good governance. The International Anti-Corruption Day is observed annually on December 09 since the adoption of the United Nations Convention against corruption on October 31 in 2003 to raise public awareness for anti-corruption which is a serious crime that can undermine social and economic development in all societies.